You've seen styling packages that call too much attention to themselves. Maybe that's why you haven't considered one as a way to personalize your C5. SLP has changed that with subtle styling enhancements that improve the overall look of your C5. Lines that flow so well, the car might pass for a factory-authorized limited edition. VFN Fiberglass makes nothing but the highest quality fiberglass body parts and they have been doing it for over 40 years. They produce everything from hot looking hoods to lightweight racing bodies that satisfy your need for form and function. VFN cowl hoods will give your C5 that aggressive look you have been searching for. 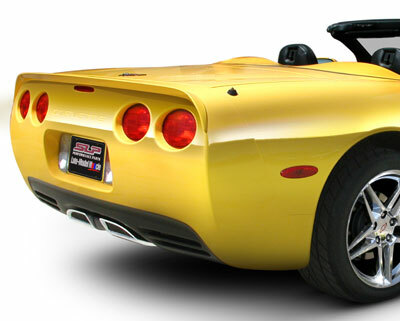 If you're looking to drop some weight on your C5 Corvette or add some style check out Anderson Composites products. Anderson Composites carbon fiber hoods will give you a mean new lightweight look to set your C5 apart from the flock. Anderson Composites uses advanced techniques to build oem quality carbon fiber goods that will fit great and install easy.